Ashington Station Lounge booked their place in the semi-final of the NFA Minor Cup with a 6-3 win over Heaton Meadowfield. The game was switched to Ashington and worked out well for the Lounge as Damien Stevens led the scoring with four while Chad Miller and Alex Briggs added the others. Station Lounge are at home in the semi-final against Wallsend Rising Sun on Sunday with a 10.30am kick-off. Burradon and New Fordley reached the final of the Standard Security Blyth and Wansbeck Sunday League SA Randolph Cup with a 4-1 win at Blyth Waterloo Pub. Chris Watson scored for Waterloo, but strikes from Shaun McRoberts, Lee Waugh, Dale Pearson and Steve Howes won it for Fordley. In the Saints Shield quarter-final, East Chevington were thumped 9-1 at home by Spring Gardens. Max Anderson scored for the home side’s consolation goal, but Craig Boyle (4), John Amos (2), Steven Goicoechea, Richard May and Anthony Goicoechea were on target for Spring Gardens. In the semi-final of the same competition, High Street beat Ashington Northern 2-0 with goals from Anthony Goldie and Duane Dunn scored to put them into the final. They will play the winners of the Spring Gardens v Newsham Victory tie. In round one of the Eric Anderson Cup, first division Newsham Victory won 6-2 at Ashington Town Central, who had Gary Scott and Kevin Chapman. Goals for Newsham came from Craig Frazer (2), Jordan Wright (2), David Lillico and Joe Betts. Whitehouse Ashington beat FC Beacon 4-2 after extra time. Gavin McMillan and Michael Freathy scored for Whitehouse in normal time and James Gilbert and Ian Marsh for Beacon. But strikes from Kevin Orkney and a second for Freathy won it. The only one game in the premier division saw Earsdon Red Lion defeat Bedlington Red Lion 8-2. Goals for Earsdon came from Tony Browell, Mark Hunter, Lee Gray, Michael Butcher, Mitch Rennie, Andrew Smith, Nicky Thompson and Lee Kelly. On target for Bedlington were Adam Harvey and Jordan Cuthbertson. Division one saw wins for Cramlington Green and Marden Residents. 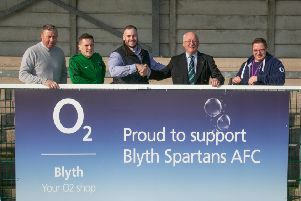 Green won 4-0 at home against Blyth United Services with goals from Craig Quinn, Marcus Brown, Michael Jordan and Karl Boughen. Marden won 7-3 at home against Ashington Sporting Club. Chris Ridgeway (5), Ryan Smith and Stephen Dynes scored for Marsden and Michael Robinson, Adam Mavin and John Bell for Sporting Club.